The 2016 AAU Cross Country National Championships will welcome over 1,000 athletes to Florida's "cross country playground", Apalachee Regional Park. On the boy's side 550 plus are entered in six races that range in distance from 1K for the 6 & under age group to the full 5K distance for the 15-18 year olds. 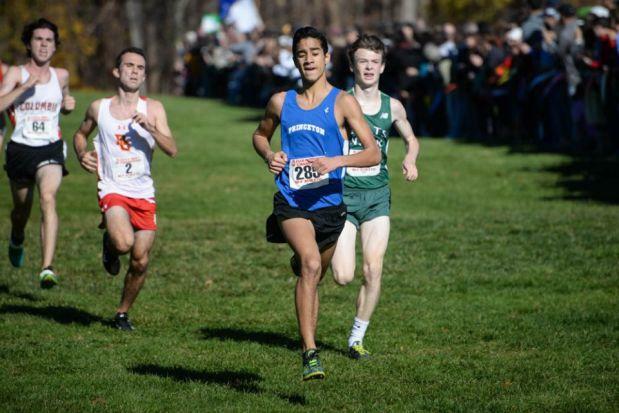 What: 2015 13-14 year old champion Acasio Pinheiro of New Jersey bumps up to the high school age group and boasts one of the bests times in the field at 16:04.50. Pinheiro was 24th at the NJSIAA XC Meet of Champions and 53rd at the Nike Cross Nationals Northeast Regional. He was also an important part of the New Jersey state champion team Princeton High School who took down nationally ranked CBA at the NJSIAA Meet of Champions this past November. Wharton sophomore Nehemiah Rivers come from an athletic family as three of his female siblings are also on the Wildcat's team. After not advancing out of the district meet in 2015, Rivers turned it on in the second half of the 2016 season finishing 21st at the UF Mt. Dew Invitational, winning districts, placing 4th at regionals, and 9th at the 4A Cross Country Finals in a personal best of 16:16.16, his 5th consecutive sub 17 performance. Rivers chief competitor will be Maclay sophomore Clay Milford, the 2014 FLYRA Middle School state championship in cross country. Milford was 3rd at the 1A state meet in track for 3,200m this spring and went on to win district and regional championships this fall before finishing 30th at the Cross Country Finals. Why: When you win the FLYRA MS State Championship and show you are the best in Florida, you have to prove that worth in future races. Adrian Bichara of Miami Elite posted a 3K time of 9:56.76 to win that race and edge out Miami Elite teammate Alvaro Canarte who was running for his middle school team in that race. Canarte wasn't far behind at 9:59.70 and the two should again contend for the championship on Saturday. Wharton High School freshman Casey Pleune hopes to break up the duo. Pleune was 13th at the state meet, but don't let that fool you. He ran 9:46.60 for 3K on the track to win the FLYRA Middle School State Championship over Bichara. Elijah Wolsefer of Windy Hill Middle School in Clermont was 8th at the FLYRA MS State Championship cross country meet and should also be in the mix. 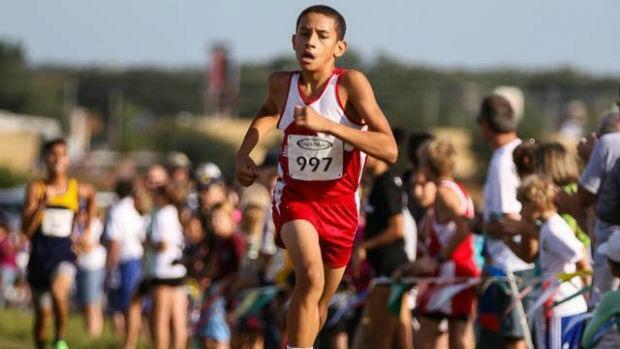 Why: Nedrow, who runs for Lake Cities XC out of Texas is the reigning 9-10 year old champion with a time of 10:23.97. In September, he was the runner up in the middle school boys 3,200m at the Flower Mound Invitational. Why: The top two 9-10 year old boys in the state of Florida meet again at another one of Florida's best cross country courses. Matchev from Gainesville, Florida is a part of the same Morning Miles program that has helped Ani Veltcheva and the success is evident. He won the FLYRA Middle School State Championship 3rd-5th 2K race in a time of 7:28.72 over Tristan Petillion of Miami Elite who crossed the line in 7:40.92. Why: Navarro who runs for the Northside Striders moves up an age group after winning last year's 7-8 1K with a time of 4:01.12.